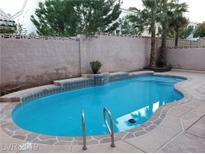 Below you can view all the homes for sale in the Panorama Pointe Summerlin subdivision located in Las Vegas Nevada. Listings in Panorama Pointe Summerlin are updated daily from data we receive from the Las Vegas multiple listing service. To learn more about any of these homes or to receive custom notifications when a new property is listed for sale in Panorama Pointe Summerlin, give us a call at 702-323-5986. This is the one for you! MLS#2087344. Addicted Realty LLC. Run to your new home today! 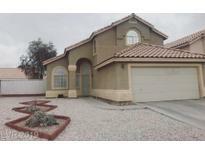 MLS#2079873. Evolve Realty. Volume Ceilings In Living Room Entry, Spacious Eat-in Kitchen, Separate Family Room With Fireplace, Downstairs Bedroom/Office/Den, Full Bathroom Downstairs, Vaulted Ceiling In Master Bedroom, Sparkling In-ground Pool, 2 Car Attached Garage, Desert Rock Landscaping, Ready For New Owners! MLS#2075890. Henderson Valley Realty. Don't miss this opportunity, call today! MLS#2055704. Realty ONE Group, Inc.
Come view today and make the choice to call this place home! !LEASE BUYOUT-30 DAY MOVE-IN MLS#1976479. Turn Key Property Solutions.